Bamboo forests are beautiful things — especially when they are cleaning urban air, soil, and water AND shielding communities from industry and heavily trafficked areas. Urban Biofilter creates bamboo forests on brownfields that are fed with wastewater. The harvested Bamboo then creates income in areas that are otherwise neglected through sustainable bamboo harvesting and timber production. Urban living has it’s perks but it can also have it’s downsides. Many residential areas get heavy pollution (air, water, soil, noise, radiation, visual, you name it) due to the supporting infrastructure of human density. The Urban Biofilter project addresses these issues and leverages waste to improve quality of life in inner-cities. West Oakland is surrounded on three sides by 8 lane interstate highways and the Port of Oakland across. The rates of asthma, cancer and unemployment are all astonishing in homes close to the Port (which ranks among the 20 busiest ports in the world). 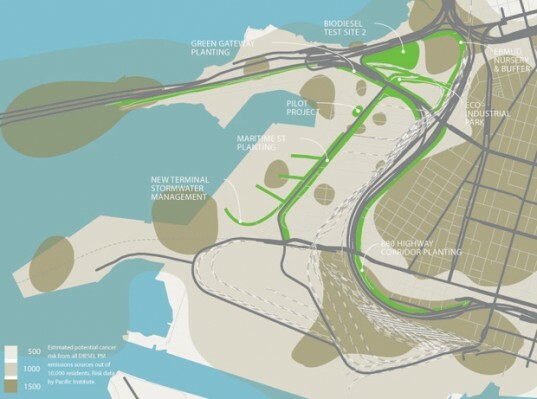 The Urban Biofilter is trying to address these issues that have led to recent struggles between residents, port officials and the trucking industry. The project has brought the community and industry together in a wonderful way by helping the people who make their living at the port, the mechanics, truck drivers, taqueria chefs and radio men, all a chance to make an urban oasis in the most unlikely of places. 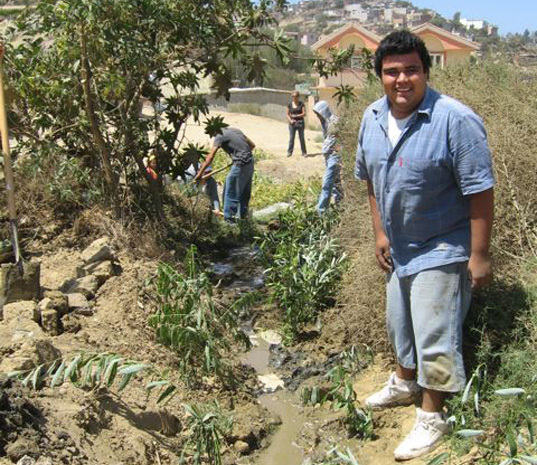 Last summer Urban Biofilter joined the Tijuana River National Estuarine Research Reserve and Earth Island Institute’s Restoration Initiative on a bi-national project to restore the Tijuana River Estuary Watershed. The proposed project would create an elegant solution to current wastewater issues by channeling and redirecting it to a system of bamboo biofilters at NOAA’s outreach office. The plantings would be done as workshops. This would minimize cost, give skills to the public, and act as a catalyst for a wastewater paradigm shift in an area that needs it. I feel so much hpaepir now I understand all this. Thanks! Bamboo forests are beautiful things -- especially when they are cleaning urban air, soil, and water AND shielding communities from industry and heavily trafficked areas. 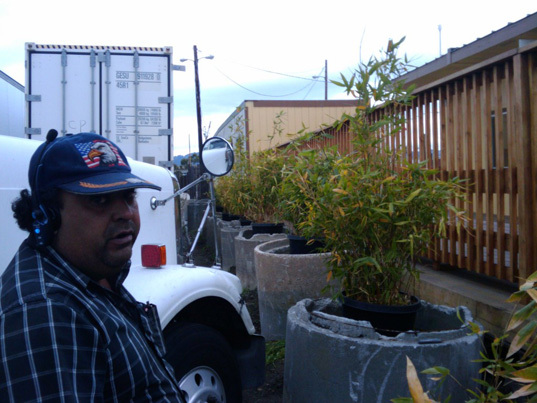 Urban Biofilter creates bamboo forests on brownfields that are fed with wastewater. The harvested Bamboo then creates income in areas that are otherwise neglected through sustainable bamboo harvesting and timber production.